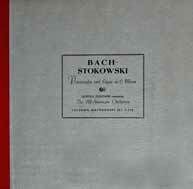 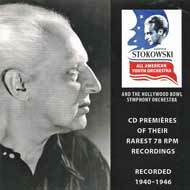 This is a chronological listing of the commercially issued recordings of Leopold Stokowski 1941-1959. 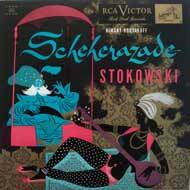 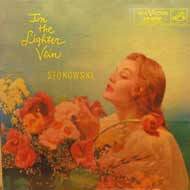 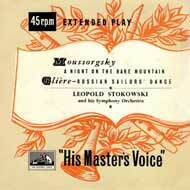 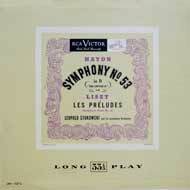 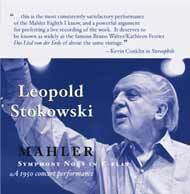 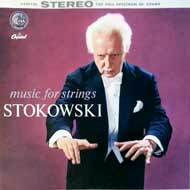 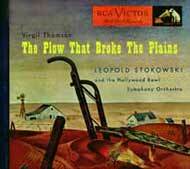 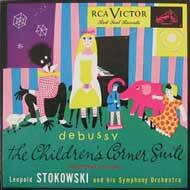 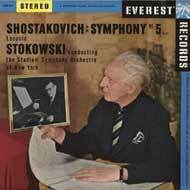 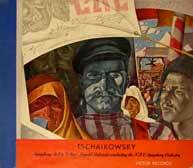 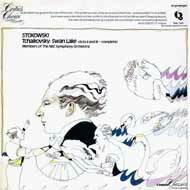 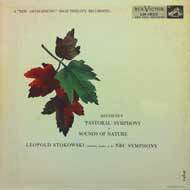 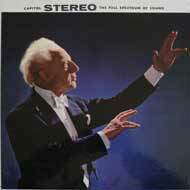 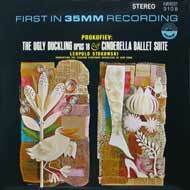 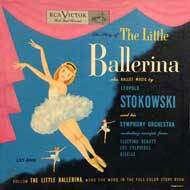 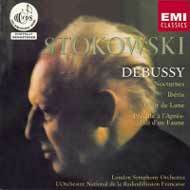 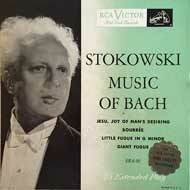 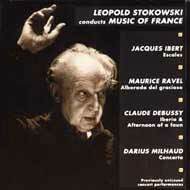 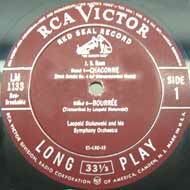 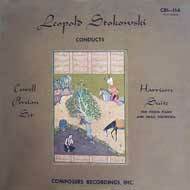 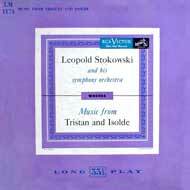 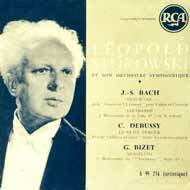 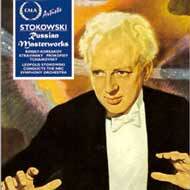 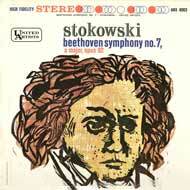 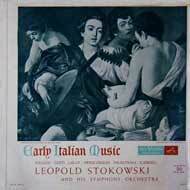 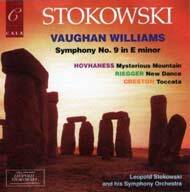 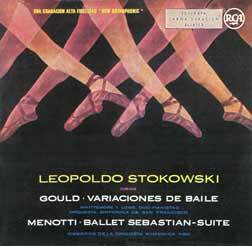 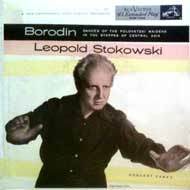 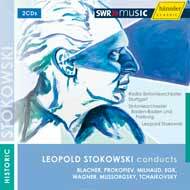 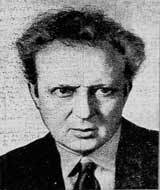 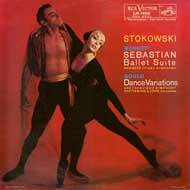 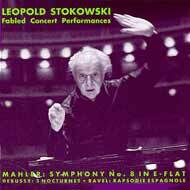 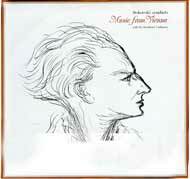 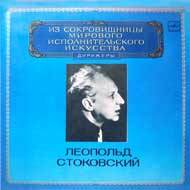 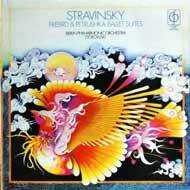 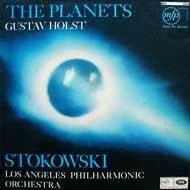 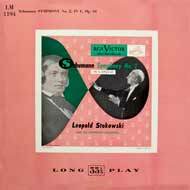 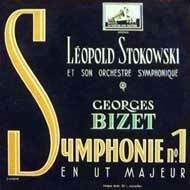 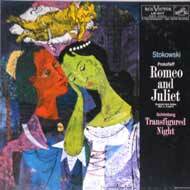 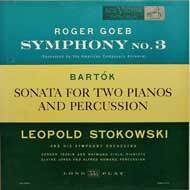 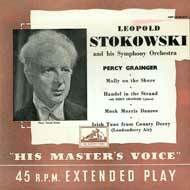 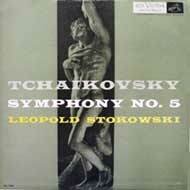 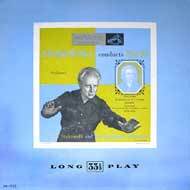 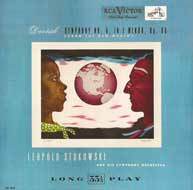 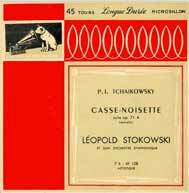 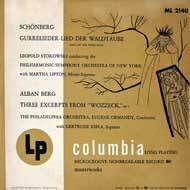 You may also see a Leopold Stokowski Chronological Discography 1960-1977 by clicking here. 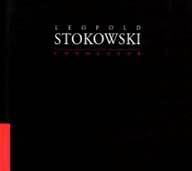 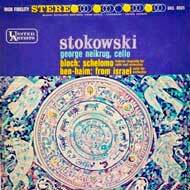 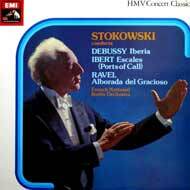 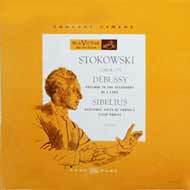 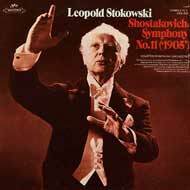 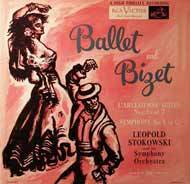 Stokowski's was a remarkably prolific career, and he performed many concerts each year during the period 1941-1959 as you may see by visiting the page: A Listing of the Concerts of Leopold Stokowski 1941-1974 . 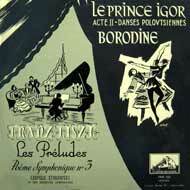 Many of these performances were recorded, particularly in the later years when technology allowed even members of the audience to record the concert. 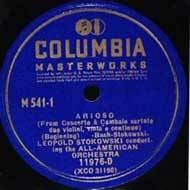 Where such a performance was issued in a commercial recording, I have tried to include it in this chronological discography. 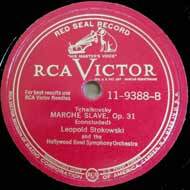 In the case of private recording or those referred to as "pirate recordings", I have tried to use discretion, primarily as to whether or not such a recording has been available to the public. 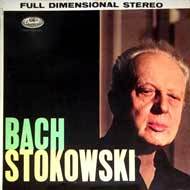 Also, certain discs have been excluded from this discography; you can read why by clicking hear to read of excluded recordings. 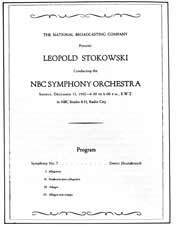 In this listing, for simplicity I have used consistent names for orchestras. 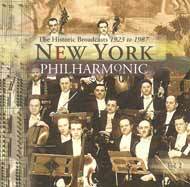 For example, the "Philharmonic-Symphony of New York" or "Philharmonic-Symphony Society of New York", which adopted the name "New York Philharmonic" in 1958 is referred to by the latter name throughout. 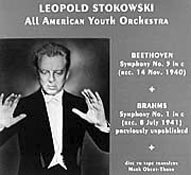 Similarly, the "Leopold Stokowski Symphony Orchestra", or "His Symphony Orchestra" is referred to as "His Symphony Orchestra" as being briefer. 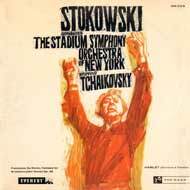 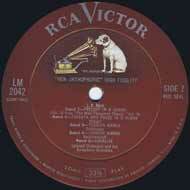 Pseudonym orchestra names such as "Stadium Symphony of New York" are given their correct names, e.g. 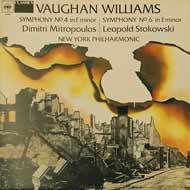 "New York Philharmonic" as well as the pseudonym. 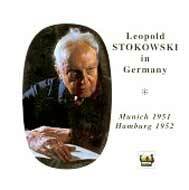 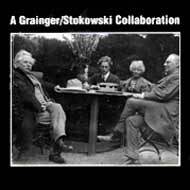 I want to thank all those who have provided additions and corrects to this listing, and in particular two Stokowski experts and musicologists: Theo van der Burg and Edward Johnson for their aid in this and other Stokowski projects. 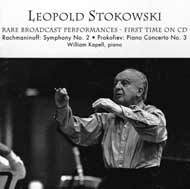 Also the scholar James H. North for his insight in the article "Leopold Stokowski and His Symphony Orchestra" published in the ARCS Journal in 2013 2. 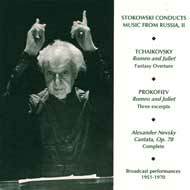 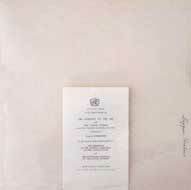 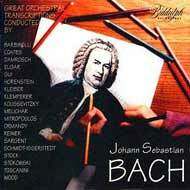 The Discography and Concert Register published by John Hunt in 1996 has also been helpful 1. 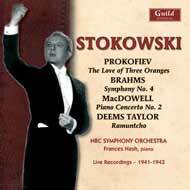 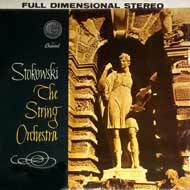 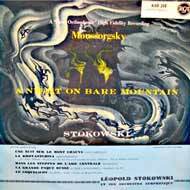 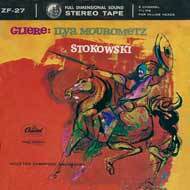 Given the prolific quantity (and also quality) of Stokowski's recordings made 1941-1977, this listing continues to be a work in process. 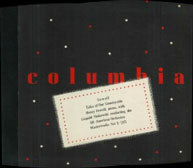 Any additions, corrections or other comments will be welcome by contacting me. 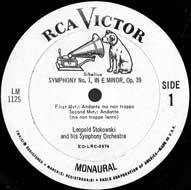 labeled by Columbia "All-American Orchestra"
(CD) Avid Records AMSC 601 coupled with the 27 November 1939 Philadelphia Orchestra recording of Carnival des animaux and the 1947 Sir Malcolm Sargent recording of Brittens "Young Persons Guide to the Orchestra"
labeled by Columbia "All-American Symphony Orchestra"
well restored in spite of the poor technical quality of nearly all of these 1941 All-American Youth Orchestra recordings. 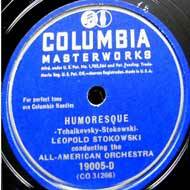 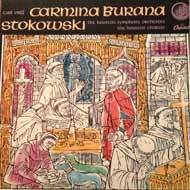 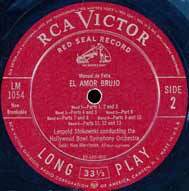 (78) Columbia 12 inch discs 11773-D, 11774-D in Set X-220 "Bach-Stokowski Volume 1"
Falla: "El Amor Brujo": "Ritual Fire Dance"
(78) Columbia three 12 inch discs 11976-D, 11977-D, 11978-D matrices XCO 31190 through XCO 31196 in Masterworks album M-541 "Bach-Stokowski"
(CD) NAXOS Historical 8.112019 restored by Mark Obert-Thorn Bach Prelude only "Bach-Stokowski Transcriptions - 2"
(CD) Guild Historical GHCD 2361 Kelly only coupled with a collection called "NBC Pops"
Frequently written about has been the 1942 disagreement about whether Toscanini (not particularly a Shostakovich advocate) or Stokowski (who premiered many Shostakovich works and championed the composer throughout his career) would give the premiere performance outside the Soviet Union of the Shostakovich Symphony no 7. 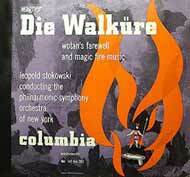 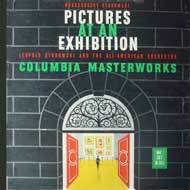 With World War 2 at its height and the German Army at the gates of Leningrad, this was a much awaited work. 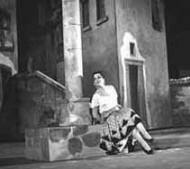 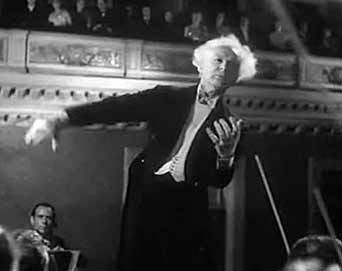 Toscanini gave the premiere with the NBC Symphony on 19 July 1942, and Stokowski performed it in Carnegie Hall five months later. 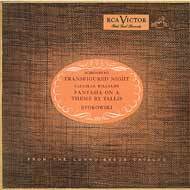 George Antheil: Symphony no 4 "1942"
(CD) Cala Records CACD 0502 Schubert only coupled with other "First Releases"
Not originally issued in 1945. 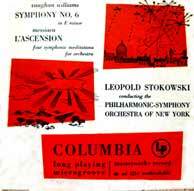 See the James North note, above, concerning 'His Symphony Orchestra' versus the 'New York City Symphony Orchestra' labeling. 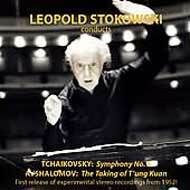 (CD) Cala Records CACD 0502 Scriabin and Tchaikovsky coupled with other "First Releases"
Symphony no 6 in F major, opus 68 "Pastoral"
(33) Camden CAL 187 under pseudonym "Sutton Symphony Orchestra"
See the James North note, above, concerning 'His Symphony Orchestra' versus the 'New York City Symphony Orchestra' labeling. 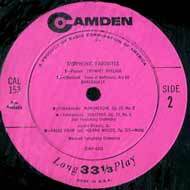 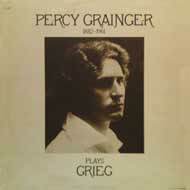 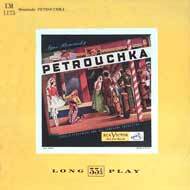 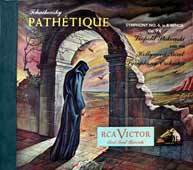 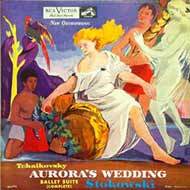 Percy Grainger: "Molly on the Shore"
Symphony no 6 in B minor, opus 74, "Pathétique"
(78) RCA Victor 11-9187 "Solitude" and "Humoresque"
(33) RCA Camden CAL 152 under the pseudonym "Star Symphony Orchestra" without conductor listed "Pathétique" and Camden CAL 153 "Solitude" and "Humoresque"
(CD) Pearl GEMM CD 9261 restorations by Mark Obert-Thorn coupled with 1946 Hollywood Bowl Rachmaninoff: Isle of the Dead. 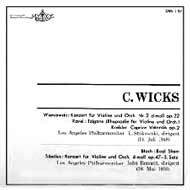 (CD) Music & Arts CD-1287 restored by Mark Obert-Thorn with recordings of All-American Youth Orchestra and the Hollywood Bowl Symphony "Solitude" and "Humoresque"
(CD) Biddulph LHW 041 Rubinstein/Rachmaninov coupled with "Grainger plays Grieg & Granger"
Camilla Wicks was age 17 at this concert and had won a competition to play with Stokowski and the Hollywood Bowl. 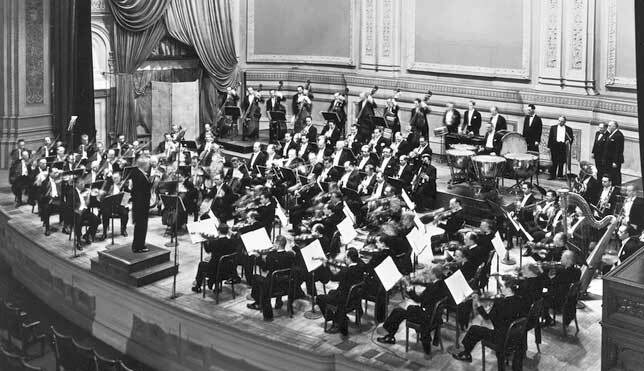 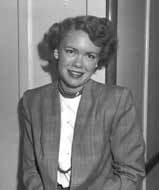 After her concert career, she taught violin in Norway for a decade, and then at the San Francisco Conservatory. 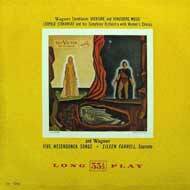 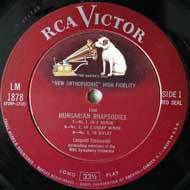 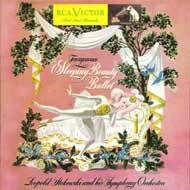 Wagner: Siegfried: Act II Scene 2: "Forest Murmurs"
(78) RCA Victor Red Seal 10-1310 Johann Strauss Jr.
(45) RCA Victor Red Seal 49-0279 Johann Strauss Jr.
(45) RCA Victor Red Seal ERA-67 Johann Strauss Jr.
(33) Japan Leopold Stokowski Society JLSS0006/8 coupled with Liszt: Mephisto Waltz no 1 from the 1961 Edinburgh Festival, Usher Hall Edinburgh, Scotland 22 August 1961 and Mahler: Symphony no 2 "Resurrection" from 30 July 1963 London Symphony Orchestra Proms concert. 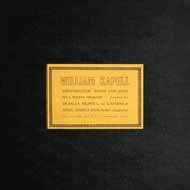 (33) Discocorp IGI 373 "Bruno Walter Society"
Mikhail Ippolitov-Ivanov (1859-1935): "In the Manger"
(CD) Pristine Classical PASC188 "Tchaikovsky Symphony no 5, Eight Stokowski Encores"
music as featured in the film "Carnegie Hall"
Mendelssohn: Symphony no 3 in A minor, opus 56 "Scottish"
(CD) New York Philharmonic NYP 9705 - Volume 2 in "New York Philharmonic Historic Broadcasts 1923 to 1987"
This was Stokowski's only released recording of the "Scottish" symphony. 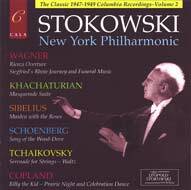 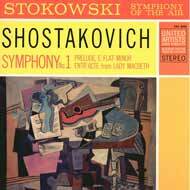 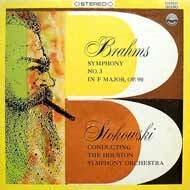 In fact the New York Philharmonic concerts of 23, 24, 25, 26 October 1947 seem to have been Stokowski's only performances of this symphony during the 50 year period 1927-1977. 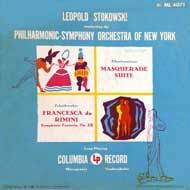 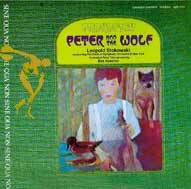 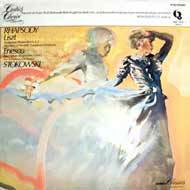 Billy the Kid: 3: "Prairie Night", 5: "Celebration Dance"
Sibelius: "Swanwhite" incidental music opus 54: no 3: "The Maiden with the Roses"
one of Stokowski's finest recordings of Tchaikovsky: "Francesca da Rimini"
(CD) Cala Records CACD 0534 Masquerade Suite and CACD 0533 "Francesca da Rimini"
Die Walküre: "Wotan's Farewell and Magic Fire Music"
(33) EMI La voix de son maître FALP 105 coupled with Borodin "Polovtsian Dances"
Symphony no 9 in e minor opus 95 "From the New World"
"Kuolema" incidental music (1903 revised 1904): "Valse triste"
Stokowski does not seem to have performed "Valse triste" during any of his concerts 1931-1975. 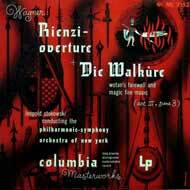 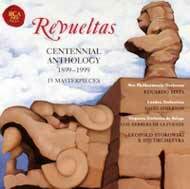 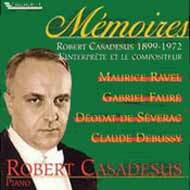 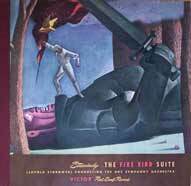 (78) HMV DB 21555 "The Swan of Tuonela" HMV DB 21565 "Valse triste"
(CD) RCA Red Seal 09026-63548-2 "Revueltas Centennial Anthology"
German Dances K.605: no 1 "Sleigh Ride"
(33) EMI 33C 1026 coupled with 17 November 1947 Die Walküre "Wotan's Farewell and Magic Fire Music"
Symphony no 53 in D major Hoboken I/53 "Impériale"
(33) Leopold Stokowski Society LS-18 "Music from Vienna"
Prince Igor opera: "Polovtsian Dances": labeled "Dances of the Polovetzki Maidens"
Gustav Mahler (1860-1911): Symphony no 8 in E-flat major "Symphony of a Thousand"
(33) Japan Leopold Stokowski Society JLSS0006/8 coupled with Liszt: Mephisto Waltz no 1 from the 1961 Edinburgh Festival, Usher Hall Edinburgh, Scotland 22 August 1961, Mahler: Symphony no 2 "Resurrection" from 30 July 1963 London Symphony Orchestra Proms concert and Mendelssohn: A Midsummer Night's Dream: Scherzo and Offenbach: Orpheus in the Underworld Overture from a 25 August 1946 Hollywood. 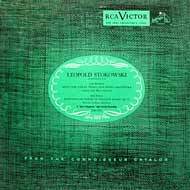 (CD) New York Philharmonic Special Editions NYP 9809 "The Mahler Broadcasts 1948-1982"
(45) RCA Victor Red Seal ERB-7022 two 45 RPM 7 inch discs with music for the ballet Le Spectre de la rose Julius Baker flute. 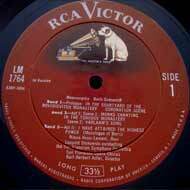 - "Molly on the Shore"
(45) RCA Red Seal WDM 1663 and EMI HMV 7ER-5046 without "Shepherd's Hey", Country Gardens, "Early one Morning"
(CD) Cala Records CACD0532 with Haydn Symphony no 53, Mozart Sleigh Ride, Humperdinck Prelude to Hansel and Gretel, Johann Strauss "On the Beautiful Blue Danube"
(78) EMI HMV DB 21570 "Little" Fugue with 1950 Cantata BWV 147: Chorale "Jesu bleibet meine Freude"
(33) RCA Victor LM-1176 "Stokowski Conducts Bach Volume 2"
(CD) Pristine Classical PASC 188 "Stokowski Encores"
Tchaikovsky: "Eugene Onegin" opus 24: Act I: "Letter Scene"
Antonio Cesti: "Tu mancavi a tormentarmi"
Giovanni da Palestrina: Motets "Adoramus te, Christe" and "O Bone Jesu"
Giovanni Gabrieli: Sacrae symphoniae: Canzon quarti toni a 15, C185 and "In Ecclesiis Benedicite Domino"
(CD) Tahra TAH 485-486 "Leopold Stokowski in Germany"
(CD) Archipel ARPCD 0087 with June 1951 Tchaikovsky "Romeo and Juliet"
Parsifal: Act III "Good Friday Spell"
(33) Leopold Stokowski Society LS-5 "Good Friday Spell"
(CD) Cala Records CACD 0550 Rosamunde and CACD 0535 "Good Friday Spell"
This concert was recorded in stereophonic sound, one of the earliest such commercial stereophonic recordings, by the legendary engineer Bert Whyte allowing the issue of the Avshalomov and Tchaikovsky on Music & Arts CD 1190. 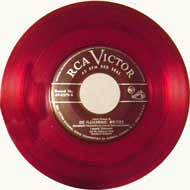 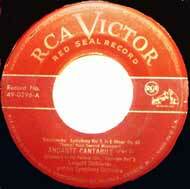 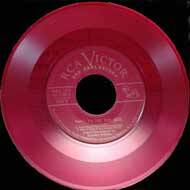 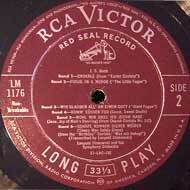 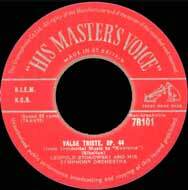 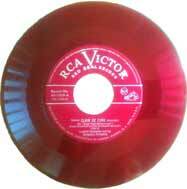 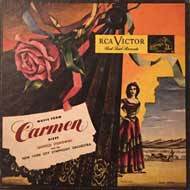 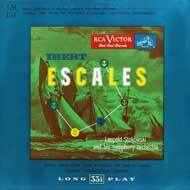 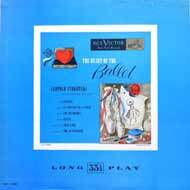 (33) Victor Red Seal LM-2042 "In the Lighter Vein"
Khovanchina: Act I: Prelude "Dawn on the Moscow River"
Khovanchina: Act IV: "Dance of the Persian Maidens"
Khovanchina: Act IV: Entr'acte "Galitsin's Journey"
Borodin: "From the Steppes of Central Asia"
(CD) Pristine Classical PASC274 "Stokowski Conducts 20th Century Music"
Symphony no 6 in F major, opus 68: "Pastoral"
included a talk by Stokowski on the "Sounds of Nature in Beethoven's Pastoral Symphony"
(33) EMI HMV ALP 1387 "Restful Music"
Beethoven: Incidental music for The Ruins of Athens, opus 113: "Turkish March"
(CD) Music & Arts CD-831 Prokofiev coupled with June 1951 Tchaikovsky "Romeo and Juliet" and August 1970 Prokofiev "Alexander Nevsky"
(4TOR) Capitol Full Dimensional Stereo Y2P-8621 3 3/4 IPS coupled with content of the February 1957 recording Capitol P 8399/SP 8399 stereo "Landmarks of a Distinguished Career"
(CD) EMI Classics EMI 6-98555-2 "Stokowski The Maverick Conductor"
Capitol SAL-8385 mono and SSAL-8385 stereo "Stokowski: The Orchestra"
(33) Capital P 8673 mono and SP 8673 stereo "The Best of Stokowski"
(33) Toshiba 2LC3001 "Stokowski: The Orchestra"
(2TOR) Capital Full Dimensional Sound ZH-8 Capital 2 track 7 1/2 IPS "Stokowski: The Orchestra"
(33) Capitol P 8399 mono and SP 8399 stereo "Landmarks of a Distinguished Career"
(33) Capitol SPAO-8-8694 stereo "The Best of Stokowski in Stereo"
(33) EMI Music for Pleasure MFP 2145 "Leopold Stokowski Pops Concert"
(33) Japan Snow Records Capital CSC 5038 "Landmarks of a Distinguished Career"
(33) Angel Seraphim S 60089 Stokowski "The Maverick Conductor" with 1956 Holst "The Planets"
(33) Capitol P 8415 mono and SP 8415 stereo "Music For Strings"
(33) Capitol P 8650 mono and SP 8650 stereo "Stokowski + Strings"
(33) EMI Concert Classics SXLP 30174 "Favorite String Music"
(33) Paperback Classics LP 8216 "The Sound of Strings"
(CD) EMI Classics 65912 "Music For Strings - Stokowski"
(33) Capital P 8458 mono and SP 8458 stereo "Stokowski The String Orchestra"
Christmas Oratorio BWV 248: Part II no 10: Sinfonia "Shepherd's Song"
(CD) Musical Heritage Society "Bach Transcriptions"
Symphony no 11 in g minor opus 103 "1905"
The CD seems mislabeled, attributing the Debussy Prélude à l'après-midi d'un faune to the Paris concert, and the Images pour orchestre no 2: "Ibéria" to the 1955 Frankfurt concert, whereas the pieces are from the concerts as labeled above. 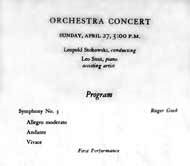 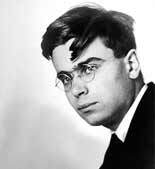 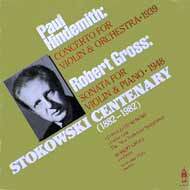 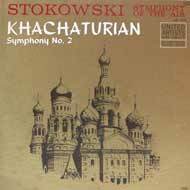 Shostakovich was present during this concert. 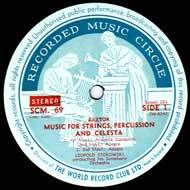 A stirring performance with satisfactory sound. 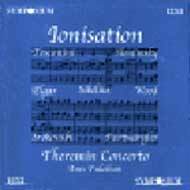 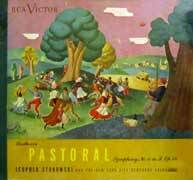 Paul Creston: Toccata opus 68 (1957) - a 14 minute work with frequent rhythmic shifts and contrasting themes, with each section of the orchestra alternatively being featured. 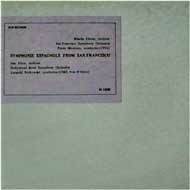 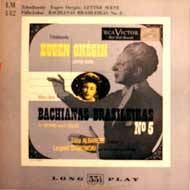 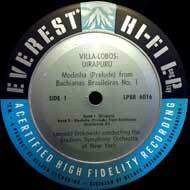 (CD) Philips 422 306-2 "Legendary Classics" with 1959 Scriabin "Poème de l'extase"
Villa-Lobos: Bachiana Brasileira no 1: "Modinha" W246 (1930) "for an orchestra of cellos"
performers: Janice Harsanyi soprano, Carol Wolf contralto, James Wainner tenor, Scott Gibson bass, the Chorus of the Crane School of Music of the New York Teachers College, Potsdam. 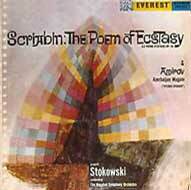 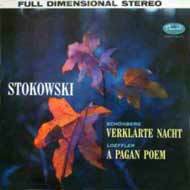 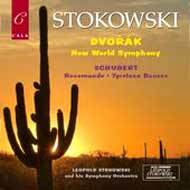 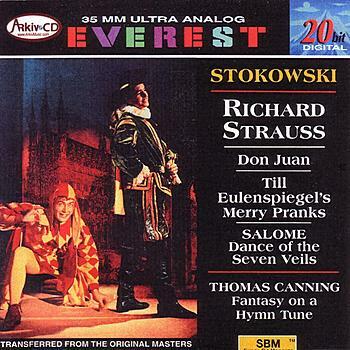 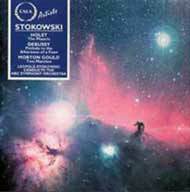 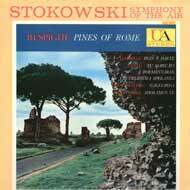 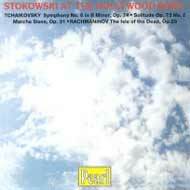 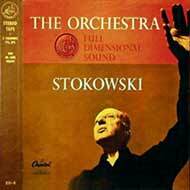 Parsifal: Stokowski "Symphonic Synthesis", augmented. 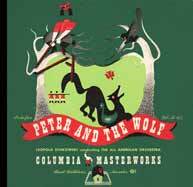 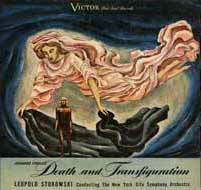 Includes Prelude to Act I, "Symphonic Synthesis" of Act III, and "Good Friday Spell". 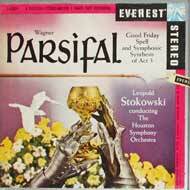 Stokowski gives an orchestral overview of Parsifal by performing the Prelude to Act I, and his "Symphonic Synthesis" of Act III, including music from the end of Scene 1, the "transformation music" to Scene 2, and the conclusion of the final scene when Parsifal heals Amfortas's wound by touching it with his spear. 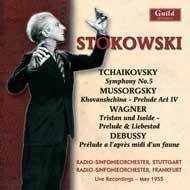 To this, Stokowski has added the "Good Friday Spell", music which he usually did not include in the Synthesis because Wagner had separately arranged a concert version of this music. 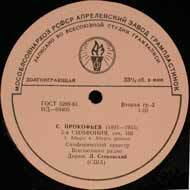 Fikret Amirov developed what he called "symphonic mugam" based on Azerbaijan folk melodies.